It’s been a while since we heard about the HEALTH. 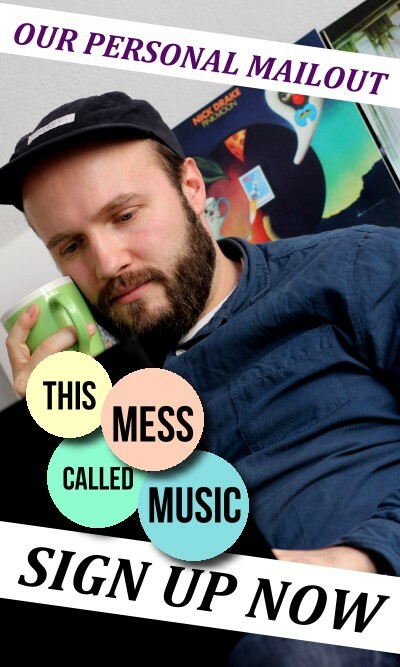 After releasing two critically acclaimed records (first, self-titled debut in 2007 and then Get Color in 2009) in two years’ time, it took them six years to come up with a new album. But this doesn’t mean that they are bunch of lazy lads. As they said in a recent interview with NOTHING BUT HOPE AND PASSION, instead of killing time on a yacht in the Mediterranean Sea, they were trying to make a record that they are satisfied with. So, all those years they were trying to perfect the things they don’t like. Californian noise rockers also took a break from working on a new album and composed the soundtrack of Max Payne 3 in 2012, a video game which has similar dark elements as their ‘regular’ music. It’s reasonable to think that even though working on a soundtrack project for Rockstar Games might have given them a financial stability, it also cost them years to work on their own music. But they will make it up this to their fans with their long-awaited third full length album. 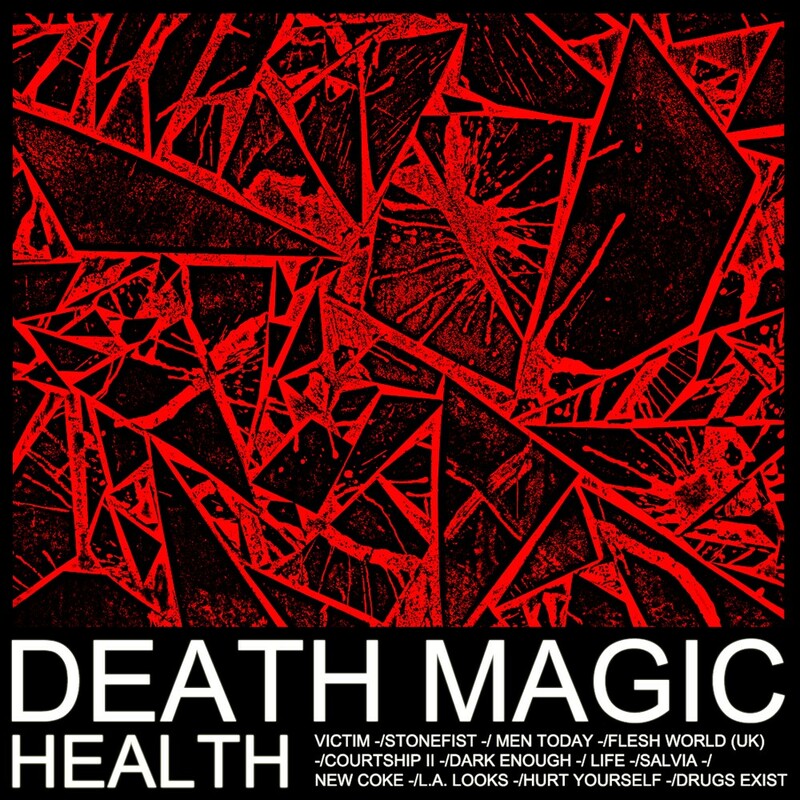 Speaking of length, HEALTH’s discography features (mostly) short songs and albums but Death Magic is almost forty minutes long and featuring 12 songs, so it is noticeably longer than the previous HEALTH albums. To put it into perspective, LA band’s debut album was less than half an hour long and the second one featured only nine songs and it was just over 30 minutes. They must have been eager to write new music in all those years. Death Magic‘s first track Victim starts with a constant banging drum noise and followed by singer Jake Duzsik’s depressing lyrics, ‘No one never gonna feel the same as it was today’, that would suit perfectly for a dystopian video game trailer. Old habits, right? Most of the times, it can be hard to understand HEALTH’s lyrics clearly because of the different loud noises in the background but this is not the case with Stonefist and despite the usual loudness of HEALTH’s instruments, Duzsik’s vocals are in the spotlight for a moment. 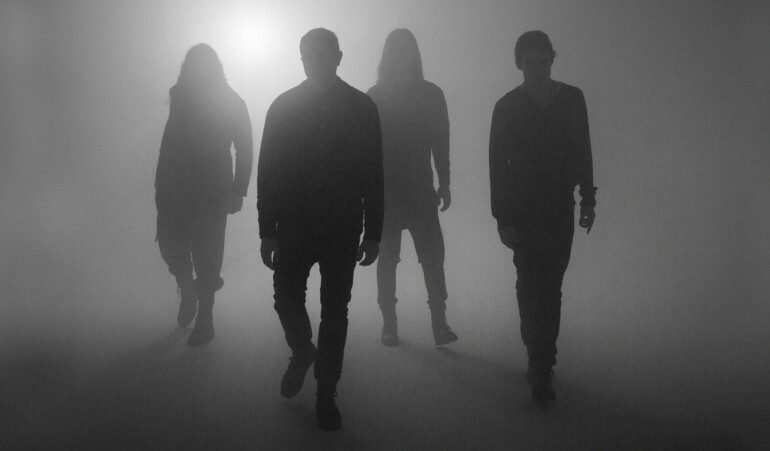 Synth-filled Flesh World (UK) is where the things get more electronic and it is the most club-ready track of the record. Second half of the album starts more cheerful with electropop track Life. It is cheerful when you compare it to the rest of the record of course, it still delivers the lyrics like ‘Life is strange, we die and we don’t know why’ but it is as enthusiastic as HEALTH ever will be. 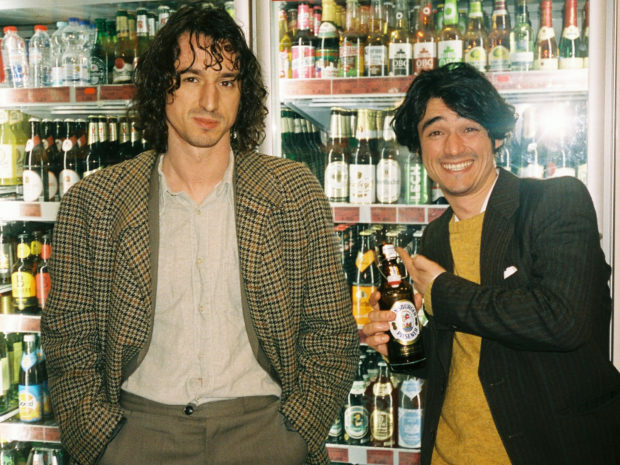 Life followed by Salvia, album’s only instrumental song which has the traces of the group’s pessimistic origins but as the song nears to the end, hopeful and rare calmness surfaces. 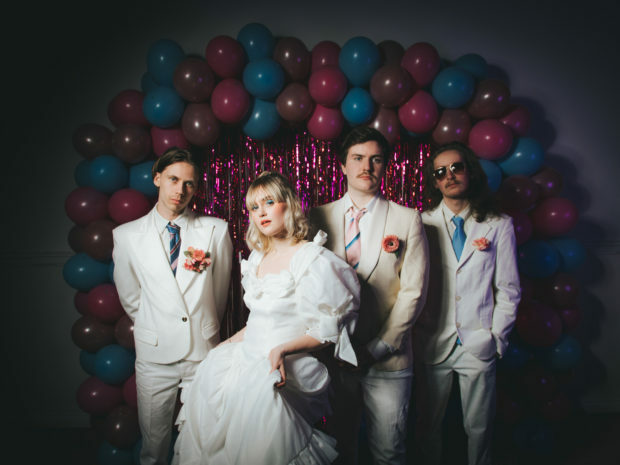 The band’s ability to hide glimpses of hope in the darkest of songs is quite admirable and apocalyptic track New Coke is another chance to observe this as Duzsik chants ‘Life is good, life is good’ in a synth-driven song that resembles CRYSTAL CASTLES‘ darker tunes. At this point in their career, there is no doubt that HEALTH find comfort in the dark corners of the world we all live in. It is where they get their inspiration and they pour that into their songs with anger and chaos, this is what they are really good at. And despite the long break, Death Magic demonstrates that the Californian noise institution is still at the top of their game. 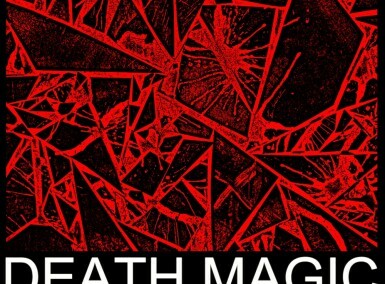 Death Magic may feature more pop-inspired songs but HEALTH show no sign of intention to abandon their noisy roots with this dystopian masterpiece.